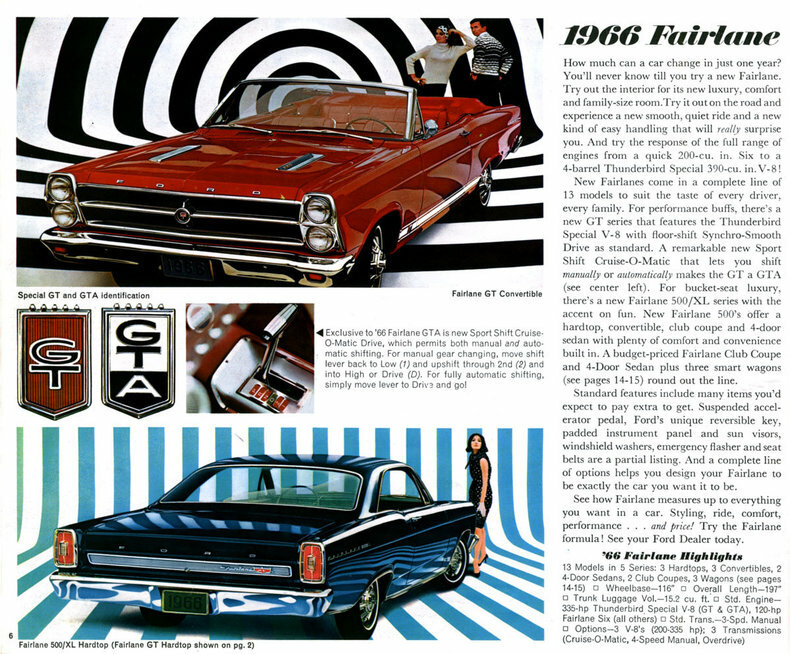 The Fairlane was restyled and revised in 1966. 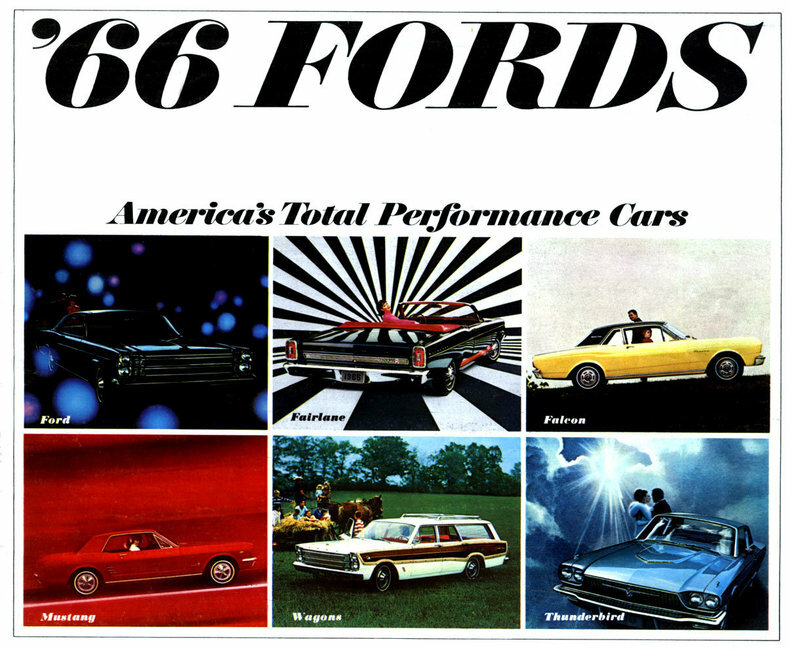 The appearance was changed to match the full-size Ford, which had been restyled in the 1965 model year. The front end featured vertically stacked dual headlights. The XL, GT and GTA packages were introduced, as well as a convertible to join the existing range of sedans, hardtops and station wagons. The "K-code" 289 CID engine was dropped this year. 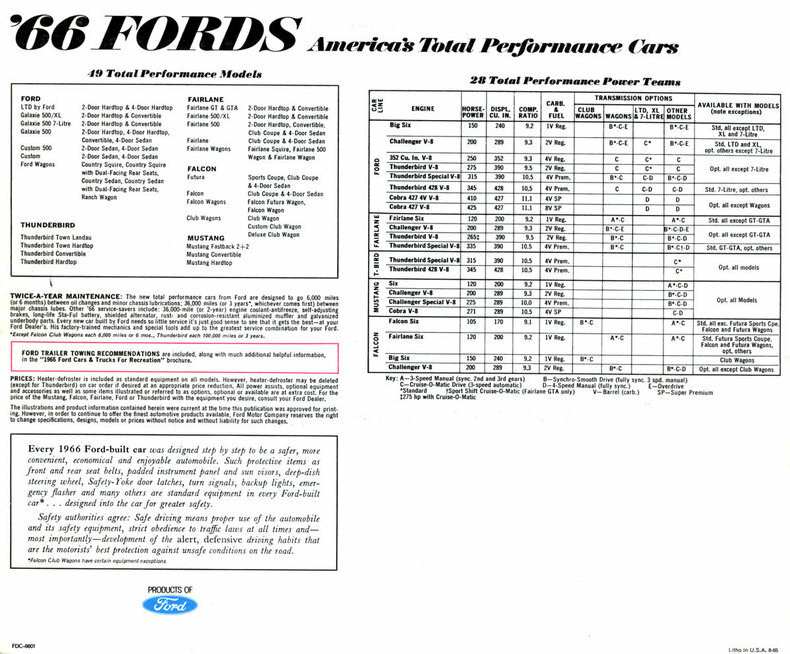 The GT featured a 390 CID FE V8 as standard, while the GTA also included the newly introduced Sport Shift Cruise-o-Matic automatic transmission. The GT/GTA 390 CID engine developed 335 bhp with higher compression, and had a four-barrel carburetor. 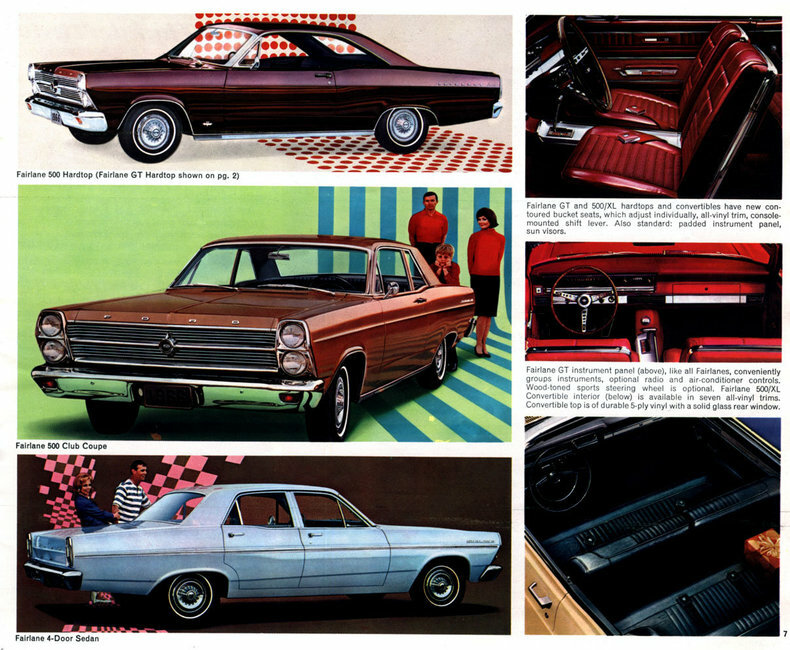 Standard features included in the Fairlane Package at no extra cost included padded instrument panel and sun visors, windshield washers, emergency flashers, and seat belts. Mid year, Ford produced 57 special Fairlane 500 two-door hardtops with "R-code" 427 CID V8s rated at 425 bhp and equipped with Ford's "Top-Loader" four-speed manual transmission. Built to qualify the engine/transmission combination for NHRA and IHRA Super Stock racing, they were white and had fiberglass hoods with a forward-facing hood scoop which ended at the edge of the hood. The Fairlane Squire wagon was reintroduced for 1966.